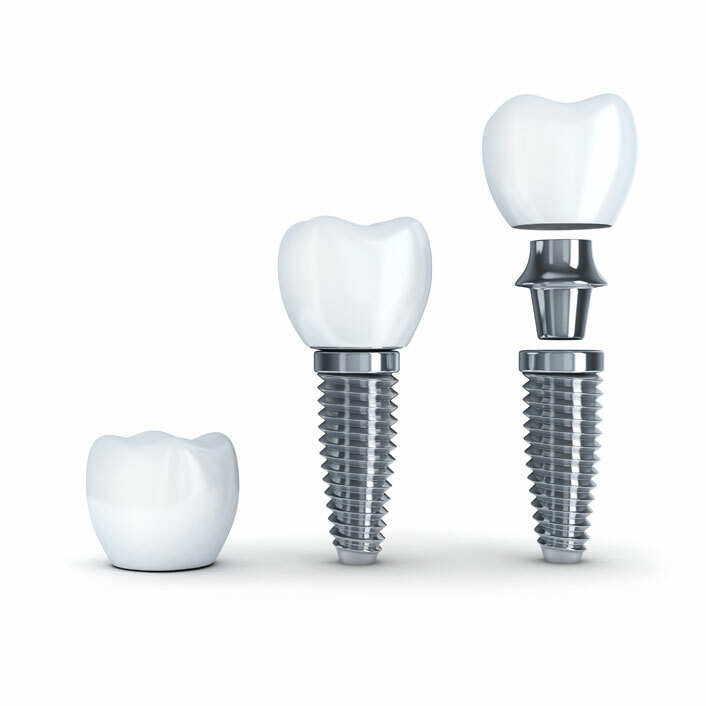 Implants consist of metal post being placed in your jaw and then a crown being cemented to the post. Implants require healthy gums and adequate bone. A patient must also be committed to excellent oral hygiene and regular dental visits, as these are critical to the long-term success of dental implants.